Combustion takes place when fuel, most commonly a fossil fuel, reacts with the oxygen in air to produce heat. The heat created by the burning of a fossil fuel is used in the operation of equipment such as boilers, furnaces, kilns, and engines. Along with heat, CO2 (carbon dioxide) and H2O (water) are created as byproducts of the exothermic reaction. By monitoring and regulating some of the gases in the stack or exhaust, it is easy to improve combustion efficiency, which conserves fuel and lowers expenses. Combustion efficiency is the calculation of how effectively the combustion process runs. To achieve the highest levels of combustion efficiency, complete combustion should take place. Complete combustion occurs when all of the energy in the fuel being burned is extracted and none of the Carbon and Hydrogen compounds are left unburned. Complete combustion will occur when the proper amounts of fuel and air (fuel/air ratio) are mixed for the correct amount of time under the appropriate conditions of turbulence and temperature. Although theoretically stoichiometric combustion provides the perfect fuel to air ratio, which thus lowers losses and extracts all of the energy from the fuel; in reality, stoichiometric combustion is unattainable due to many varying factors. Heat losses are inevitable thus making 100% efficiency impossible. In practice, in order to achieve complete combustion, it is necessary to increase the amounts of air to the combustion process to ensure the burning of all of the fuel. The amount of air that must be added to make certain all energy is retrieved is known as excess air. In most combustion processes, some additional chemicals are formed during the combustion reactions. Some of the products created such as CO (carbon monoxide), NO (nitric oxide), NO2 (nitrogen dioxide), SO2 (sulfur dioxide), soot, and ash should be minimized and accurately measured. The EPA has set specific standards and regulations for emissions of some of these products, as they are harmful to the environment. Combustion analysis is a vital step to properly operate and control any combustion process in order to obtain the highest combustion efficiency with the lowest emissions of pollutants. The objective of combustion is to retrieve energy from the burning of fuels in the most efficient way possible. To maximize combustion efficiency, it is necessary to burn all fuel material with the least amount of losses. The more efficiently fuels are burned and energy is gathered, the cheaper the combustion process becomes. Complete combustion occurs when 100% of the energy in the fuel is extracted. It is important to strive for complete combustion to preserve fuel and improve the cost efficiency of the combustion process. There must be enough air in the combustion chamber for complete combustion to occur. The addition of excess air greatly lowers the formation of CO (carbon monoxide) by allowing CO to react with O2. The less CO remaining in the flue gas, the closer to complete combustion the reaction becomes. This is because the toxic gas carbon monoxide (CO) still contains a very significant amount of energy that should be completely burned. Stoichiometric combustion is the theoretical point at which the fuel to air ratio is ideal so that there is complete combustion with perfect efficiency. Although stoichiometric combustion is not possible, it is striven for in all combustion processes to maximize profits. The fuel-air ratio is the proportion of fuel to air during combustion. The optimal ratio (the stoichiometric ratio) occurs when all of the fuel and all of the oxygen in the reaction chamber balance each other out perfectly. Rich burning is when there is more fuel than air in the combustion chamber while lean burning occurs when there is more air than fuel in the combustion chamber. There are many fuels currently used in combustion processes throughout the world, the most common are: Coal, Oils (#2, # 4, and # 6), Diesel Oil, Gasoline, Natural Gas, Propane, Coke Oven Gas, and Wood. Each fuel has different chemical characteristics including, a unique C/H2 ratio, and calorific value, among others. The amount of combustion air required to completely burn a specific fuel will depend on those characteristics especially the C/H2 ratio. The higher the carbon in the fuel the more air is required to achieve complete combustion. When monitoring the efficiency of a combustion process, it is important to know the fuel being burned since this information will help not only determine a boiler’s optimal working conditions but also maximize the boiler’s efficiency. 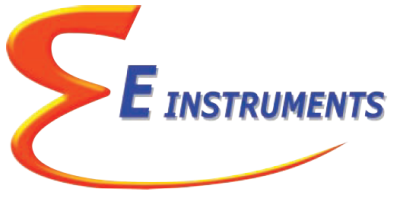 No reviews were found for E-Instruments- - Combustion Training. Be the first to review!